What is the fate of Udaipur Legislative Assembly Seat? 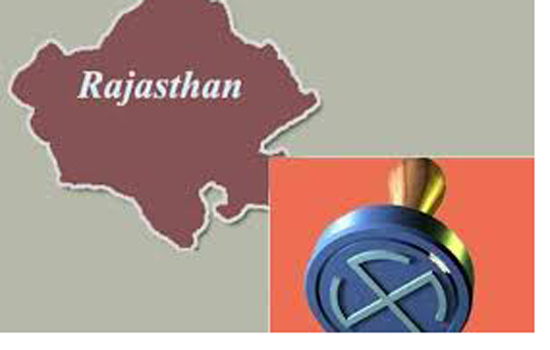 Elections to Rajasthan Legislative Assembly are due on December 7,2018. The reviews and surveys are forecasting the swing back to Indian National Congress. The reasons are obvious. Not that Congress has a promise of a revolutionary change in its approach to public issues but the fact is people are fed up of the loud ear-rending propaganda of the BJP. The urge for change is further deepened by the atmosphere across nation which has created a mysterious fear among the masses. The simplistic logic that people of Rajasthan believe in alternating party in government in every election does not hold good. The reality is that in every election there are some temporal and immediate reasons for the results. In 2008 Assembly Elections Indian National Congress formed the government after winning 96 seats with the support of 3MLAs of CPI (M) and 6 MLAs of BSP. Later all the 6 BSP MLAs joined INC. The scene in 2013 changed immensely in favour of BJP which won 163 seats and forced INC to confine to 21 seats. Udaipur Assembly constituency is being represented by senior BJP leader Gulab Chand Kataria who seemingly enjoys second position in the government. He is the Home Minister of the state. Apparently there is no alternative to him in BJP as he has won this seat more than thrice. He has a strong support of RSS which has compelled the Chief Minister Vasundhara Raje to keep him as a Home Minister despite her dislike for him. He is the Home Minister of Rajasthan but often he himself expressed his helplessness in the matters of transfers of personnel of his own department. He keeps himself engaged in matters of the Municipal Corporation as his close confidante Chander Singh Kothari is the Mayor of Udaipur. He is also a member of RSS and has been a district level leader of Bhartiya Mazdoor Sangh. But ironically when his own party members asked about the problems of roads, cleanliness etc. Mr. Kataria has been reported saying on record that these were not issues related to him. He should be judged on the basis of his performance in the Assembly. The truth is that even his dream project of Devas has been hijacked by his political opponent Kiran Maheshwari. Mr. Kataria always mentions Mohan Lal Sukhadia as his ideal but despite his long career in the Assembly there is not much which can make him acceptable to all the people of his constituency. In the coming elections he will have to face opposition from his own partymen like Bhairon Singh Shekhawat Manch, his own relative Roshan Lal Jain and the government employees who are dissatisfied with the government. In 2013 elections Gulab Chand Kataria got 78,446 votes while INC candidate Dinesh Shrimali got 53,838 votes . The margin was that of 24,608 votes which is 18% of the total valid votes. Dinesh Shrimali had been leader of opposition in the Municipal Corporation Board but obviously did not have a stature comparable to Kataria. Despite that the margin was not that much. The polling percentage was 68.5 which cannot be said low. It is said that if the polling percentage is high BJP gains. From that point of view the poll percentage was high enough. In the forthcoming elections Dr. Girija Vyas is likely to contest from Udaipur as INC candidate. Her candidature changes the whole equation. She had defeated Gulab Chand Kataria twice and had been a Union Minister besides being the Chairperson of National Commission for Women. She holds high esteem in her party and if elected, is likely to have powerful say in the government. The present atmosphere in the state indicates an easy swing of 10 percent votes. This will be sufficient to ensure victory of Dr, Vyas from Udaipur. But the question is whether the issues which relate to the people of the constituency will be addressed by any of these leaders? Udaipur is not just an urban constituency. It is surrounded by a big population of rural and tribal population. There is stark poverty in the region and large scale migration from rural to urban centers in Rajasthan and Gujarat is common. The education Mafia, sand mafia, tourism mafia, mining mafia has been exploiting the masses for years. Crime is on the rise and unemployment is rampant. Those who are weak have to suffer the excesses of the feudal and communal forces. The third front is not in the fray but had been in the mass struggles for years. Left front including CPI(M), CPI(ML) and CPI have been actively engaged in mass protests on national and local political issues but have not become a feasible political alternative to the two major ruling parties.